Can be used with ANY BOOKS! 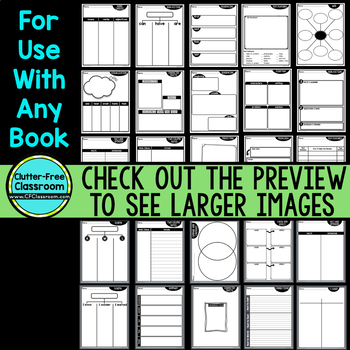 SAVE BIG: This resource (and 46 more thematic graphic organizer packets) are also available in my year long bundle here! These teacher time-saving activities will provide engaging, meaningful practice to greatly improve your students' reading and writing skills, but are so quick and easy for the teacher to prepare. 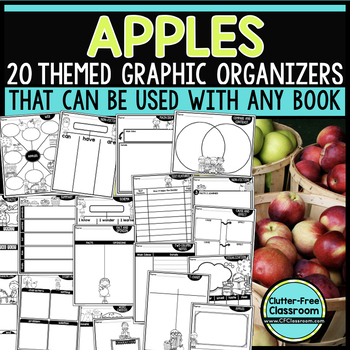 Each of the included graphic organizers can be used over and over and with ANY book you choose. Students will love the thematic pages and teachers will love the ease in which they can meet individual student needs. WHAT IS A GRAPHIC ORGANIZER? A graphic organizer is a visual display that organizes ideas and shows the relationships between concepts or information. Graphic organizers guide children's thinking and help them to comprehend what they read. 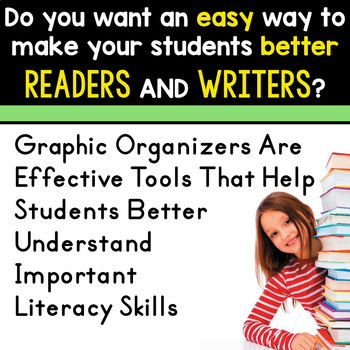 Graphic organizers are also an important tool for guiding student writing. Here is a list of all of my SEPTEMBER Themed Graphic Organizers! 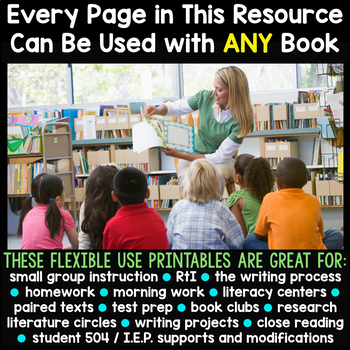 •	THE CLUTTER-FREE CLASSROOM BLOG provides free tips, photos and information to help organize and manage your classroom or homeschool materials as well as inspirational and creative lesson ideas. Do you want FREE resources? Would you like to SAVE 20% on all new resources in the Clutter-Free Classroom Store? ★	Look for the green star next to my store logo at the top right corner of this page. ★	Click that star to become a follower..
★	You will be notified each time I debut a new resource or upload a freebie!